When the first Volga Germans began to arrive in the North America in 1875, most wanted to continue worshiping as they had in Russia. Catholics found religious homes in established congregations or founded new congregations under the broader authority of the worldwide church. Protestants faced a more difficult situation given that their Lutheran and Reformed churches in Russia had no direct affiliation with the churches in North America. Unlike Russia, where there was only one church in a village, many denominations wooed the Volga Germans in the United States, confusing them with competing claims. This was especially true for those who settled in cities like Portland. Congregations with Volga Germans members could be found among the Missouri Synod, American Lutheran Church, Reformed Church in the United States (German Reformed Church), German Evangelical Synod of North America, German Methodists, German Baptists, and Seventh-day Adventists. The members of the German Congregational Evangelical Brethren Church. This photo was likely taken around 1927 when the newly built structure on NE Mason Street was completed. Photograph courtesy of Steve Schreiber. In Oregon, the St. Peter's Lutheran Church in Cornelius is the first known church established in the greater Portland area with Volga German members. This group arrived in Portland from Kansas in 1881. Some members of this party settled on farmland near Cornelius which is located approximately 25 miles west of Portland. These Volga German families became founding members of the St. Peter's Lutheran Church (which was dedicated in 1882) along with Germans who had emigrated directly from Germany. This church was part of the Missouri Synod. Other early Volga German pioneers settled on farmland west of Portland. Some of these families joined with German and Swiss settlers who attended the German Congregational Church of Cedar Mill (organized in 1887) and the German Methodist Episcopal Church (incorporated on March 25, 1895), both located in Bethany community. Immaculate Heart of Mary Catholic Church on NE Williams Avenue. Other first arrivals from Kansas and Nebraska decided to move on to the Palouse country of Eastern Washington, while some chose to remain in Portland. The Portland group was joined by other families arriving from the midwest and directly from Russia. The majority of the families that settled in Albina had lived in Reformed (Calvinist) or Lutheran villages in Russia. As a result, the primary Volga German churches were established under various Protestant denominations. Catholics from the colonies of Köhler and Semenovka who arrived in Portland beginning in 1892 attended St. Mary's Catholic Church on Williams Avenue (established in 1885 and renamed to the Immaculate Heart of Mary Catholic Church to distinguish it from the St. Mary's parish that was located in downtown Portland). St. Mary's is considered the "mother church" for Volga German Catholics in Portland. In later years, some would attend St. Agatha Catholic Church in Sellwood. The majority of the early Volga German pioneers in Portland were Protestants. The first Protestant Volga German church in Albina was established by Friedrich Jörg, a native of Norka, Russia. Friedrich was among the earliest Volga German settlers in the United States and he became a member of the Adventist church while living in Nebraska. Jörg later became an ordained minister and founded the Albina Seventh-day Adventist Church shortly after his arrival in 1889. 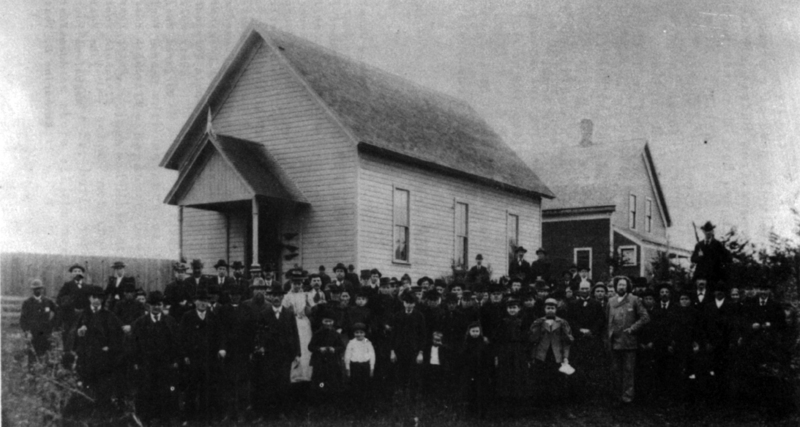 The membership of this church included several other Volga German pioneering families in Portland who had also joined the Adventist church in Nebraska. Many of the early Protestant pioneers living in Albina found it difficult to attend the German Reformed Church located in downtown Portland due to the distance (there were no automobiles and bridges at this time) and they did not feel welcomed by the nearby German Methodist Episcopal congregation on NE Stanton and Rodney or the German Evangelical Reformed Church on Ninth and Stark. When the Volga Germans arrived at church on Sunday in their Russian styled boots and sheepskin coats for the men and three cornered shawls and long dark skirts for the women, the people from who had arrived directly from Germany were less than cordial. As a result, people began to meet in private homes for prayer meetings and Bible study. In the beginning, the Sunday school met in the home of John O. Miller. Later, John Krieger Sr. built a summer kitchen next to his house and all the meetings were held there. In 1891, this group felt the need to have a pastor, as more people were coming from Russia almost every month. Some of the prayer group members had known Rev. Johannes Koch in Russia, where he was an evangelist and helped organize the Brüderschaft or Brotherhood movement in Russia. A significant number of the early settlers in Portland were members of the Brotherhood which was also known as the Brethren in America. In Russia, the Brethren movement was particularly strong in the colonies of Norka and Brunnental. Many of those who settled in Portland had lived in these colonies. Rev. Koch had arrived in the United States in 1887 and was serving Volga German settlers in Ritzville and Endicott, before he was called to help form a congregation in Portland. Rev. Koch became the leading force of German Congregationalism on the Pacific Coast, and it was largely through his influence that the Russian Germans in Washington, Oregon and California were brought into the fold of Congregationalism. The first Ebenezer Church building and parsonage about 1895. Source: Anniversary booklet titled "Seventy-Five Years, 1892-1967, Ebenezer Congregational Church, Portland, Oregon"
Led by Rev. Koch, the Ersten Deutschen Kongregationalen Ebenezer Kirche (First German Congregational Ebenezer Church) was founded in Portland on April 24, 1892, becoming the mother of the Congregational churches in Portland. A small church building was built near the primary Volga German settlement on the corner of East 7th and Stanton during the fall of that year. More Volga Germans continued to migrate to Portland from other parts of the United States, Canada and directly from Russia. As the congregation grew, a decision was made in 1904 to build a new church on the existing site. Rev. 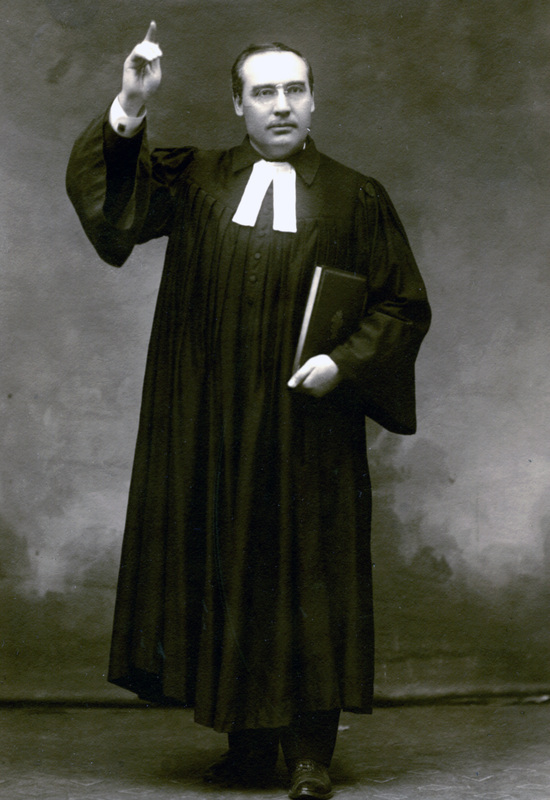 Johannes Hopp, who served the Ebenezer congregation from 1903 to 1914, led this effort. The new building was dedicated in December 1904. Rev. Hopp was born in the Volga German colony of Frank, Russia and immigrated to the United States in 1888. After graduating from the Chicago Theological Seminary Rev. Koch was appointed minister of a small congregation at Park Ridge, Illinois. In 1903, he came to Portland to serve the congregation of 70 members at the Ebenezer Church. Rev. Hopp had support from the general board of the Congregational denomination as a mission church. From this beginning, Rev. Hopp was instrumental in organizing three additional churches: the German Congregational Evangelical Brethren, the Second German Congregational, and the Zion German Congregational. 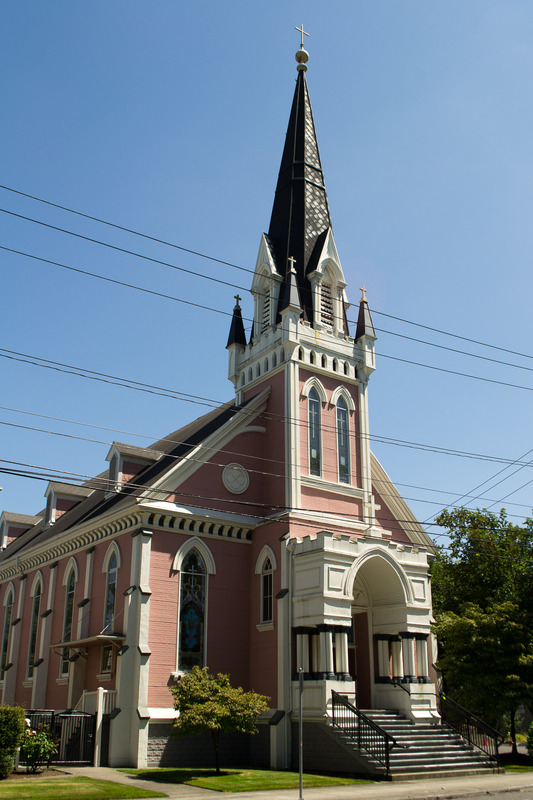 As the Volga German community in Portland continued to grow between 1881 and 1914, four Congregational churches were established. The history of these churches is closely intertwined. Organized in 1900, the Free Evangelical Brethren Church, commonly known as the “Brethren Church,” built a house of worship on NE Mallory Avenue (just north of Fremont Street) in 1907. From its inception, church Elder Peter Yost led this independent congregation. Elder Heinrich Hagelganz, who was not yet an ordained minister, later joined Elder Yost in ministering to this congregation. Hagelganz was ordained in 1911 and he began serving the German Congregational Church of Cedar Mill in the Bethany community west of Portland. In June of 1913, twenty-nine members of the Brethren Church, who had become dissatisfied, decided to organize a new church. Members of the breakaway group traveled to Beaverton to persuade Rev. Hagelganz to lead their new church. Rev. Hagelganz agreed to help organize the new congregation, and for a time, he served both in Beaverton and Portland. A vacant lot was purchased at corner of NE 8th and Skidmore and a church was built in the summer of 1913. The church was formed as a part of Congregational denomination (apparently influenced by Rev. Hopp) and was named the Zweiten Deutschen Kongregationalen Gemeinde (Second German Congregational Church), recognizing that Ebenezer was the first Congregational church in Portland. After a pastorate of eleven years at the Ebenezer Church, a dispute caused Rev. Hopp and a group of members to leave the congregation. This group organized the Zion German Congregational Church on April 13, 1914 at the home of Conrad Helzer. The founding officers asked Rev. Hopp to lead the Zion Church and he accepted this call. Like the Ebenezer Church, Zion was organized as part of the Congregational denomination and was commonly known in the community as “Hopp’s Church.” During the construction of the Zion Church building in 1914, the newly formed congregation worshiped at the First United Mennonite Baptist Church on NE 6th near Fremont, just three short blocks from the Zion Church. 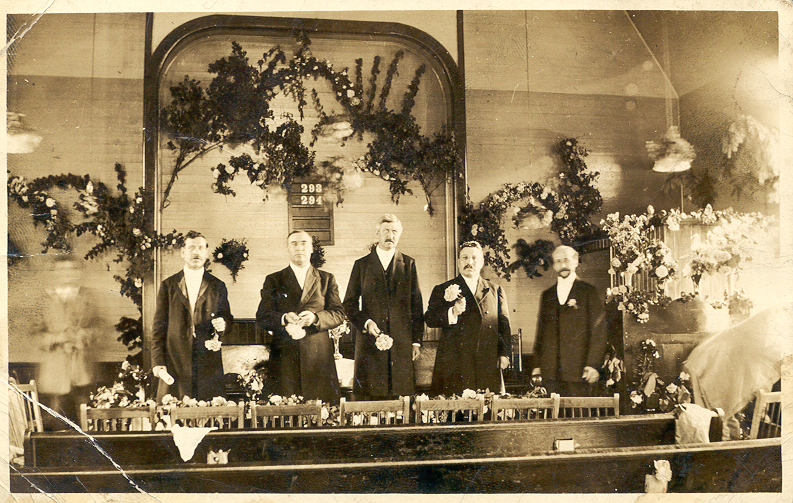 In 1922, Reverend Conrad Wagner became the first ordained leader of the Brethren Church. Like Rev. Hopp, Rev. Wagner was also from Frank, Russia and graduated from the Chicago Theological Seminary in 1906. It is very likely that Rev. Hopp was instrumental in persuading Rev. Wagner to come to Portland to bring this congregation under the auspices of the Congregational church. Under Rev. Wagner, the congregation decided to construct a larger church building and parsonage in 1927 at the corner of NE Mason and Garfield. At this time the church was renamed the German Congregational Evangelical Brethren Church. Two other churches founded by Volga Germans were not part of the Congregational conference of churches. The First United Mennonite Baptist Church was founded in 1891 by Heinrich Hölzer (later Helser). Heinrich Helser was born January 17, 1844 in Norka, Russia. Helser served as a Mennonite minister in Russia and left Russia in 1878 bound for America. Helser first settled in Hastings, Nebraska where he and his family lived in a Mennonite commune. The family later moved west and arrived in Portland in November 1891. Helser soon established a small congregation which grew to 38 members by 1895. The First United Mennonite Baptist congregation struggled to survive, but continued until 1938. The former sanctuary still stands today near NE 6th and Fremont and is now a private residence. The St. Pauls Evangelical and Reformed Church dates its beginning to early 1904 under the leadership of Reverend Jacob Hergert from Brunnental, Russia. Meetings were first held in a rental hall above a hardware store on Union Avenue (now Martin Luther King Blvd). Rev. Hergert was a minister serving under the Evangelical Synod of North America. After organizing the congregation, Rev. Hergert began to plan for the construction of a church building. The northeast corner lot at the intersection of NE 8th Avenue and Failing Street was chosen as the site for the new church. The church was first incorporated as Die Deutsche Evangelische St. Paul's Kirche (The German Evangelical St. Paul's Church). Many of the families who founded this church had previously lived in the Volga German colonies of Brunnental and Grimm, Russia. After Rev. Jacob Hergert's untimely death in 1923, his brother, Reverend Elias Hergert accepted the call to lead the church. The Hergert siblings from left to right: Rev. 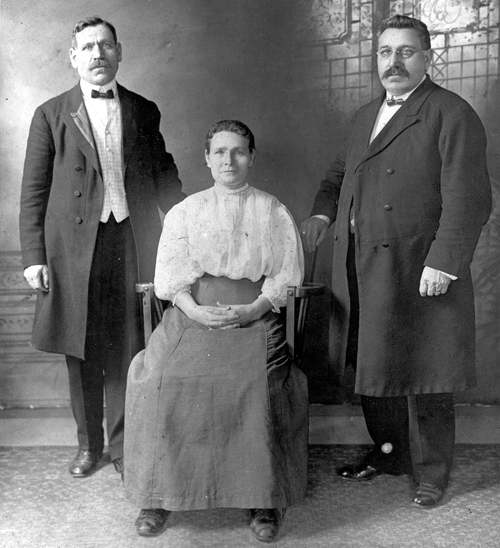 Elias Hergert, Anna Margaretha Nagel (née Hergert), and Rev. Jacob E. Hergert. Photograph courtesy of Herbert L. Hergert. The four Congregational churches maintained close ties over the years and often had joint worship services. Together they, along with the St. Pauls Evangelical and Reformed Church, formed the core of the Volga German religious community in Portland. During the severe famine in the Volga region during the early 1920's, the pastors of these churches worked together to support the Volga Relief Society. These churches also maintained ties with family and friends who had chosen to settle in Endicott, Ritzville, Walla Walla and other towns in the Palouse country of Washington State. Pastors often moved between the Portland and Washington churches over time. Portland pastors. From left to right: Rev. 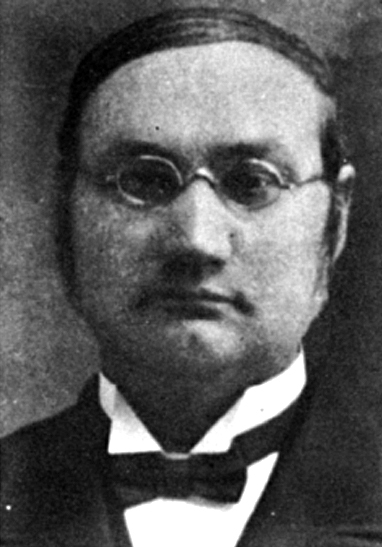 Elias Hergert, Rev. John Hopp, Rev. ?, Rev. Jacob Hergert and Rev. ? Given the variety of choices and geographic disbursement of the Volga Germans in Portland, many joined established denominations over time. Volga Germans made up part of the congregations at St. Paul's Lutheran Church in Sellwood, Trinity German Evangelical Lutheran Church of Albina, the First German Baptist Church, the Second German Baptist Church, the German Evangelical Lutheran Immanuel Church, the German Methodist Church and the Parkrose Congregational Church. The churches served as a bridge from the Old World to the New World. They were German islands in an American sea that allowed the early immigrants a safe harbor to associate with their countrymen and continue practicing their beliefs as they had in Russia. The churches also served a key role in maintaining social traditions and in preserving the German language. As time passed, the younger generations began to assimilate and move out of the Albina enclave. The second and third generations born in the United States no longer needed or wanted a refuge from the outside world. Without a new source of members, most of the Volga German churches faded into history. In my traveling to and from the different churches and conversations with ministers and laymen, I have often heard the ill-drawn conclusion: "Our churches are dying a slow death." This is an expression used to denote that our work is slowly losing itself in the current of other denominations, and our people are seeking to give expression of their religious convictions outside their mother church. It is regrettably true that in the current of population shift our people too, many of them, changed residence as well as denominational fellowship. Such changes I find are so often due to lack of loyalty, steadfastness and faithfulness. Let's be honest, and in our honesty we must conclude that our fellowship is as basic, sound and dynamic as any other denomination. Our fellowship is as a finger pointing us to Christ in whom our hope rests, and no other denomination can do more. "We preach Christ crucified." It is also true that in so many instances we are losing our grip upon our youth of today because of more than one reason. Our young people no longer feel the ties of common nationality as keenly as did the former generation and which played so significant a role in uniting our work and forming it into a distinct organization. They are losing the sense of racial consciousness and are seeking to widen the boundaries of their experiences and enriching their lives through wider comradeship than those afforded them by their present mother church. Knowing and seeing these things come to pass, our churches ought to arouse themselves and leave no stone unturned in order to keep them within the fold. The language question has harmed us more in driving our youth from us than has any other single item of the day, and unless we prepare ourselves to meet this challenge the future of our churches is not too promising. A church is no language institution but rather an institution to enlist boys and girls, men and women, for the Kingdom of God. Grauman, Edward. "Pastor-at-Large in the German Work for Six Years." Kirchenbote Kalendar, 1953. Yankton, South Dakota. 68-69. Print. Haynes, Emma S. German-Russians on the Volga and in the United States. Place of Publication Not Identified: Publisher Not Identified, 1996. Print. Haynes, Emma S. My Mother's People. N.p. : 66-67, 1959. Print. Mai, Brent A. "St. Peter's Lutheran Church Blooming (Cornelius), Washington Co., Oregon." The Center for Volga German Studies. Concordia University, 21 Sept. 2011. Web. 04 Feb. 2015. <http://cvgs.cu-portland.edu/immigration/united_states/oregon/blooming.cfm>.